The steel and aluminum industries in the United States have been under attack from unfair, illegal and predatory foreign competitors, most notably China, for years. For years, the USW has led this fight and has spent considerable time and money fighting trade cases to address these problems. We’re glad our voices are finally being heard. This action from Washington is long overdue. 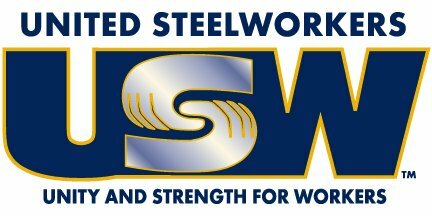 Steelworkers have never asked for special treatment – all we’re asking for is a level playing field. We shouldn’t have to nor be expected to compete against other nations and the cheating and subsidizing they have done to steal our markets. When we have that level field, North American workers can compete with any workers in the world. The domestic steel industry has seen at least 10 blast furnaces shut down and at least 64,000 good-paying jobs disappear since 2000 because of unfair and illegal trade practices from foreign competitors. That represents one-quarter of our country’s steel-making capacity. In 2017 alone, steel imports increased by as much as 25 percent since the President announced the 232 studies. With thousands of steelworkers laid off and plants across the country idled or operating at reduced capacity, there’s simply no reason for this to continue. The aluminum industry has been devastated as well. Aluminum imports into the U.S. hit an all-time high in 2017. Twenty years ago, the US had 23 aluminum smelters in operation. Today, we have five, and only two are operating at full capacity. These actions will put steelworkers back to work, inject new life into our communities, and allow North American steel and aluminum makers to invest in much-needed upgrades to their facilities. Both steel and aluminum are critical to our national defense and infrastructure. That issue was the reason behind the 232 investigation that prompted these tariffs. Without robust domestic steel and aluminum industries, we would be forced to rely on countries like China and Russia to supply materials for our military and infrastructure needs. It’s important that we focus on the real problem and address the nations that are not playing by the rules. Canada is not the problem and should be exempt from these tariffs. The U.S. and Canada have integrated manufacturing markets and a unique defense and intelligence relationship. Our union also represents workers in both nations. There’s a difference between a trade war and trade fairness. We have long been in a trade war and we are losing it. These tariffs are meant to restore fairness to a system that has been out of balance for far too long. Protecting these good jobs isn’t just good for workers in these industries. Each one of these good-paying jobs creates a ripple effect – studies show that each manufacturing job supports three jobs elsewhere, both inside and outside of the supply chain. The possible negative effects of these tariffs on downstream industries have been wildly overstated. If we don’t take action to protect aluminum and steel, other industries could be the next to be attacked. China and other trading partners have used illegal and predatory practices to attack markets in downstream industries including auto parts, appliances and others. The effect on the final costs of these products would be small compared to the overall positive effects of preserving entire industries and communities.